From New York to Milan (and Paris soon to follow), the styles gracing the runways for Fall and Winter 2013 have been impressive to say the least. 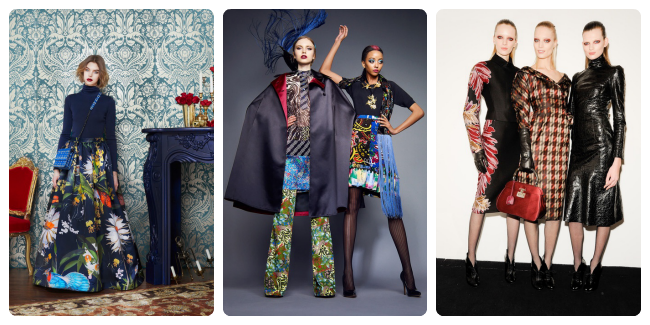 From beautiful prints, bright colours, neutral palettes, from femininity to tailored looks, from rich textures, to fabulous accessories, there is so much inspiration for those of use with a passion for fashion and style for the coming year. I personally have enjoyed so many of the collections, and loved look after look, so to catalog my favourites here would most likely be more than slightly excessive. If however, you're interested in sharing my perspective on the F/W 2013 runways, please do feel free to take a look at my "Fall 2013 Runway" board on Pinterest, and let me know what you think! I love the picks you've shared here, and also on the board! Some great picks! I loved Duro Olowu too, so many great colours and prints! Fabulous. It's really the word, you'r right ! Love the prints you've showcased above. They're making me crave spring like never before!